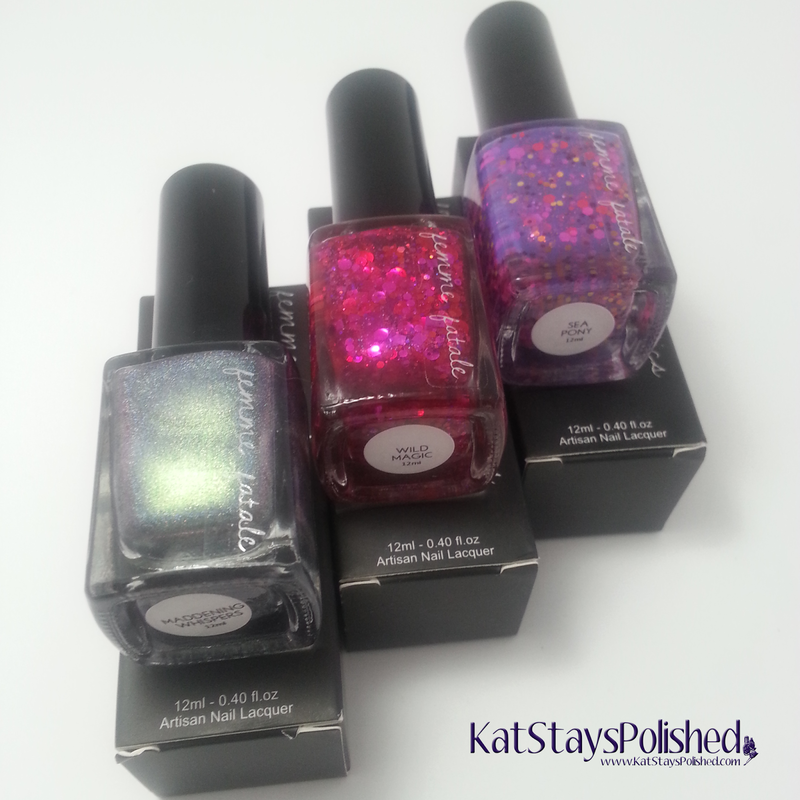 Today I bring you 3 polishes from Femme Fatale Cosmetics. This is an Autralian based brand and I have to say - I am super impressed with these polishes! 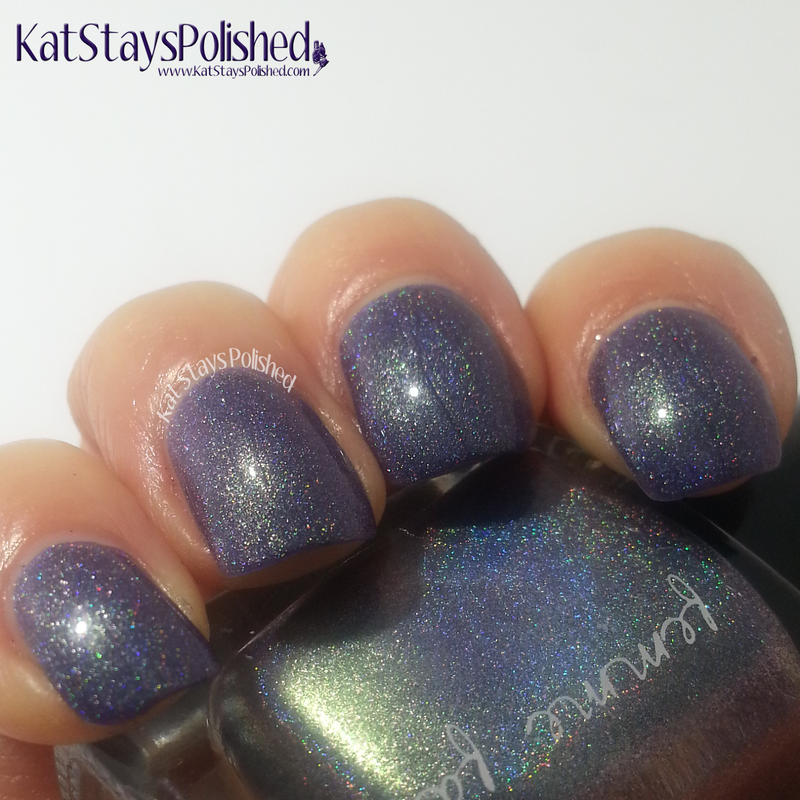 Maddening Whispers is a multichrome holographic polish. I tried so hard to get all the colors to show but it didn't want to be shown! At the very least I was able to capture the beautiful holographic gorgeousness! Wild Magic is a hot pink jelly polish with nice big glitters in it! I used just 2 coats for the swatch below. Since I don't wear pink often, I'm not sure how much I'll wear this, but I'm sure it will come in handy for some nail art later on. I do love it though! Sea Pony! OMG is this amazing or what?! I love all the different glitters in the mix. I just wish they appeared brighter on the nail! There is a certain fantasy feel to this polish and I love it! not to mention...it's purple and I've been on a purple kick lately! Which one is your favorite? Do you have Femme Fatale Cosmetics items? Let me know!! Just stunning shades! I love the holo one a lot.